Old ways of trying to combat candida often involved a candida diet and a cleanse of some kind. However these strategies have largely proven to be ineffective. The science has evolved so that very specific strategies can now be used as part of a comprehensive plan to eliminate candida. Candida has been blamed for almost every disease under the sun. It is really difficult to establish cause and correlation however, because the human body is incredibly complex and the human Microbiome is even more complex. Ideally the human gut contains roughly three pounds of bacteria and there are about 10 bacteria cells for every 1 human cell in and on the body. There are an estimated 500+ species of bacteria, fungi & archaea that live in a symbiotic relationship with the human body. It is almost as if bacteria created humans to carry themselves around. What’s more is that every person on the planet is likely to have a different concentration and combination of microbes that acts in unique ways given their bodies biochemistry. This complexity literally overwhelms the average medical doctor and the medical community at large. There begin to be too many variables to be able to say anything definitively. It is an area that is in it’s infancy in terms of research. This however has not stopped many people from trying different things and getting some fantastic results in terms of regaining their health. Every person has candida in them along with E.coli and many other potentially pathogenic microbes. Thus it is impossible to totally kill every last candida cell. The difference however is the degree of proliferation and this is mediated by the ecology of the entire gut biome. When a person take antibiotics it causes major shifts in the gut biome. Antibiotics are specifically designed to kill bacteria, NOT fungi. Thus when taking antibiotics the bacterial competition is eliminated and fungi such as candida has the opportunity to thrive in the void temporarily created. This is well known in Russia where doctors often give anti-fungals along side antibiotics in hopes of preventing a fungal overgrowth due to these circumstances. Sadly most north american doctors don’t do this as a standard practice increasing the chances of serious candida overgrowth. As a n=1 personal anecdote I struggled to eliminate candida using the many strategies on this page. While they all worked to some degree the greatest step forward I found was using Resistant Starch as a powerful prebiotic. What RS does is create a radical beneficial transition back to a more healthy ecology where it feeds and cross-feeds many beneficial bacteria (bifido and Lactobacillus) that produce beneficial acidic compounds such as lactic acid, acetic acid butyric acid and propionic acid. These acids serve many beneficial purposes such as helping digest your food and providing energy to the intestinal cells. They also help tighten up the junctures in the intestinal lining preventing leaky gut. They also commensurately feed the good guys which then will outright kill candida for you. It is said the best defense is a good offense and this could be no more true than here. Many people while having initial success with anti-fungals or various other anti-candida strategies will often relapse because they simply are not feeding the good guys adequately. This is why in the last year the re-newly discovered prebiotic compound Resistant Starch plus many other novel prebiotics & probiotics have perhaps become the most powerful way to combat candida permanently. It is the conventional belief out there that to get rid of candida one must consume little to no carbs in order to stop their growth. This logically means putting the body into ketosis. What most people don’t know however is that ketones can also fuel candida growth and the fungi themselves use ketones to evade the bodies immune system. The following is the collection of a few days research that completely shifts the conventional paradigm on the various forms of Candida diet out there. The following 1st paper shows that the ketone beta-hydroxybutyrate will feed candida, and the 2nd shows that the ketone Aceoacetate is used by Candida to evade the body’s immune system. The 3rd shows that starvation makes candida grow exponentially. “The ability to neutrophils from diabetics to kill candida was inhibited by increased concentrations of glucose and beta-hydroxybutyrate, both independently and in combination. Glucose obviously feeds candida as well however I have not seen evidence that it impairs immunity against candida such as ketones. Glucose therefore appears to be the lesser of two evils in this case when compared to ketones. From a blood point of view it’s impossible to eliminate glucose anyways. Ketogenic diets and many Paleo diets therefore in the long term are counter-productive. Starch and specifically resistant starch is necessary to feed the good guys which are your primary defense against candida. The 4th and perhaps most important step is to repopulate the intestine with friendly microbes to “crowd out” the candida and not give it room to regrow. Biofilms are the matrix under which bacteria and fungi hide under. It is their slimy protective coating. This allows them to be protected and hide from the bodies immune system as well as antibiotics and anti-fungals. The biofilms also use calcium, magnesium and iron to reinforce their walls. Biofilms are particularly problematic because stool analysis may not show what is exaclty all hiding in the gut. Also blood tests and har analysis for heavy metals may come back low, even though they may be stored in the biofilm. Once the biofilm is broken down many things may come rushing out. I have seen several reports of copper coming out. There are many different enzymes and enzyme combination formulas. Enzymes serve a dual purpose in that they will decompose the biofilm and attack the cell structure of fungi. The enzymes are an absolute critical part in eliminating candida. There are also single enzymes that hold promise. All 3 are fibrinolytic enzymes that target biofilm specifically. There are also mucous specific enzymes. However I am personally concerned about the safety of these because the intestine has a mucous lining for protective reasons as well. I am listing these merely for reference. NAC – some studies shows it reduced biofilms by up to 62%. cis-2-decenoic acid – according to one study breaks up biofilms. Candida Albicans mentioned specifically. The most common anti-fungals prescribed probably are Nystatin and Diflucan (flucanazole). The problem with these is that through liberal prescription use candida have formed resistance to them, and if not they also may ahve issues getting through the biofilm. Many peopel see improvements using them however as soon as they go off them a short while later many see the candida come back stronger than before. I believe Pharma anti-fungals can be useful however it is best they are used concurrently with other strategies. A quick note. Nystatin is much safer than Difulcan because the body does not absorb it. Difulcan as well as many other anti-fungals are potentially dangerous for they do put a toxic load on the liver. Many of the natural anti-fungals are found in Candida Cleanse kits but can also be bought independently. Some can be particularity harsh on the delicate small intestine so use cautiously. 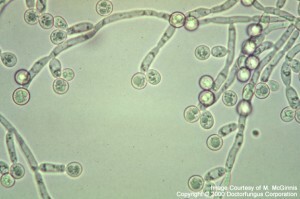 Most candida strategies also reccomend rotating them under the theory candida might develop resistance to them. 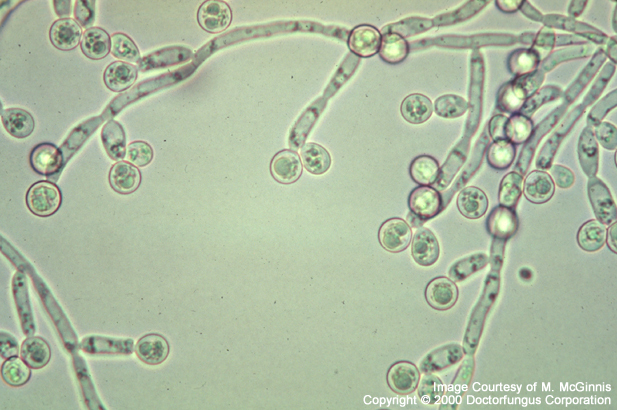 Saccharomyces boulardii is a fungus that has been medically proven to fight candida. The problem is that if you are taking fungal busting enzymes you may just eliminate it instead of having it help you. It is unclear to me in what physical fungal form Saccharomyces boulardii exists in the gut. Does it have cellular walls, does it have chitin, does it produce bioflim or fibrin? Chitin makes up the main component of the cell walls of fungus. It is also used to make the hard exoskeletons of arthropods such as crab as well as insects. A chitin synthase inhibitors(CSIs) prevents the production of chitin and can impede the growth of fungi. CSIs are approved for animals use to control fleas in pets. It is manufactured by Novartis under the trade name Lufenuron. It has never been medically tested on humans and is not approved for human use but that hasn’t stopped people successfully using it off-label. The person who originally had the bright idea of trying to use lufenuron on people to combat candida was Sarah Vaugther. A single course treatment of 9 grams can be bought from her website for $27. There is another knock-off product out there that also uses lufenuron that is called “Candida Cell Wall Suppressor“. There are about a dozen or so anti-Candida sites on the net that all link back to it. The company uses a shotgun marketing strategy. It is sold for the rip-off price of $117. The problem with this product is, that no concentration value of lufenuron is given! So you really have no idea what you are paying for. In terms of effectiveness Lufenuron has according to many testimonials been very effective at helping getting rid of candida. Used alone however is likely not enough because candida can survive without the chitin layer. Fungi have the ability to morph into different forms and adapt to different environments. This product is therefore probably best used at the same time as some of the other products such as enzymes or even pharmaceutical anti-fungals to insure as close to 100% effectiveness. I never believed in “detoxification” or “die-off” until I experienced it once after taking Candex. I had done a 2 week stint of Candex at full dose with no issues. I missed several days of the enzyme and tried going back on only to get hit with massive nausea and vomiting. This kind of reaction appears to be more common than is reported by the companies. It is medically known as Jarisch-Herxheimer reaction or “herx” for short. It is also thought that Candida and the subsequent bio-film can hold on to heavy metals such as mercury that can coming rushing out and cause “detox” symptoms once the candida start dying en mass and the biofilm they hide under is broken up. This is why it is probably judicious to take some things that can help soak up what comes out. Please see my Resistant Starch post (click) for the best strategy on how to repopulate the gut ensuring Candida will never thrive again. Do candida or fungi have fibrin as part of their structure? Do candida or fungi have cellulose as part of their structure? How much of the candida are protected by biofilm? Do the good bacteria and fungi also live under biofilm? 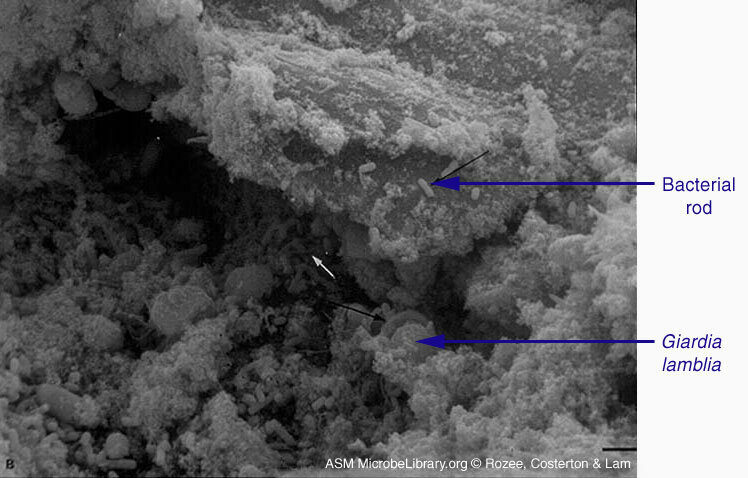 Are bacterial and fungal biofilms different? Are there any dangers to biofilm busting enzymes, or fibronlytic enzymes? Are there any dangers to the mucous targeting enzymes? 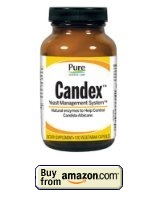 Which precise compounds are causing the nausea/herx when taking Candex? It’s possible that pancreatic enzymes may also help breakdown biofilm and kill candida. The Dr.Kelly/Dr.Gonzales protocol for fighting cancer and disease uses up to 200 capsules of pancreatic enzymes per day. The pancreatic enzymes come from pigs who can digest nearly everything. My personal theory is that those enzymes may contain small amounts of the more specific enzymes which breakdown fungal walls and biofilm. Obviously the biofilm enzymatic approach is more precise and does not need such massive supply of pancreatic enzymes. This needs to be researched further to determine conclusively what is happening. *Note: This post is also on the Phoenix Rising forum with my personal protocol for additional discussion purposes. There is much additional information, research and personal anecdote and I post updates periodically.